WhatToNameIt: Canada Concerts - Curtain call. The concerts went exceedingly well. The South Asian Festival was actually bigger than I imagined and it was great to be a part of it.. Since you already know of the show on Day 1, let me continue to the others. Had a show catering exclusively to the Hindi Punjabi audience in the evening, so much so that the hosts addressed the gathering in Punjabi. I decided to do only Tere Bina and Mayya Mayya, it took less time and did not eat up into other people's performance time. There was a small hitch before I went on stage though. My minus tracks were missing. I had no clue what to do but had to go ahead with the songs anyway. The musicians just supported what I sang through the two songs but actually it turned out to be fun. None of the interludes and preludes were played according to the original but the audience I saw was highly receptive. Even though I was new to this cross-section of people, the way they sang along and responded was awesome to say the least. Agni also had some very capable dancers and am looking forward to performing with them again. Every time a show happens with other singers, I try my best to observe what they do and see if I can imbibe and adapt some aspects into my own singing and performances. I have been quite inhibited so to say as long as singing on stage is concerned but that has kinda changed now. Especially after Super Singer. There is much that I have learned from so many people. Shankar Mahadevan ji is one helluva performer. I just love the way he keeps the audience on their feet. Never lets the energy sag. When I watched him concert for the first time in Anna University I wished I could be a blotting paper of all his energy and brains. Ah well. I know its hoping for too much but if I aim for the stars I could probably at least reach the first branch. Lets think about the tree tops later. I guess to make the audience respond to you the way you want them to requires mastery, a lot of conviction and expertise. And he is all that. I have been watching Benny ever since his S5 days. He was one of the finds of SS music's band. They broke up sometime. But I saw him perform quite a lot in all the college culturals. Naresh is a bundle of energy and does a lot of prancing about on stage and generally there is something about his performance that I can't quite define. Not that my definition matters anyway. And likewise with Krish. He seems to do a lot of things that singers usually don't do. He mimics. He dances. Talks to the audience. And as I have noticed his style of interaction is quite different. I guess sometimes a strong background does count. He was also one of the judges in Paadum Office and when I was given a briefing that he was the first Indian on Walt Disney and that he played Aladdin for about two years, I was surprised and most people gaped. Anyway, I guess with that kind of an exposure it was quite interesting to see how he kept rattling off dialogues and songs from the some of the oldest Tamil moves this that and wotnot. Mom has been telling me to let my hair down and perform in a different way and gave me pointers to do so. For quite a while actually. I tried what I could for the first time. I was very unsure. Scared but of course most people don't know that. I am pretty nervous - and sometimes enough to forget the lyrics of songs I have sung a zillion times - I have just gone blank. Yeaap. Thats me. Hello. And now that I have started knowing some basics on performing, I hope to evolve and grow. I have been brought up to realize that life is all about constant learning. And I have tried to learn from the experts and my contemporaries. And for now I wish I have the opportunities to perform and sing with singers and musicians I can learn from and get inspired by. That will be one of my wishes. Amongst the trillion others. But like they say - baby steps. And I feel like I have just started. Congrulations for your "baby step". Krish and you are really multi-talented, and share the common interest in Tamil Culture, and protecting the arts and temples of our past. We are glad to see a great potential in you and the kids from Bharathi Arts. Good that u enjoyed the show! !thanks for sharing info abt krish....He is a cool dude! TOday ARRS Jaane TU and ADA releases!!Enjoy! I am really disappointed that i cldnt view ur photo blog. Good narration of the event. And the last paragraph sums up all, a nice introspection realising where you stand and where you want to fly. Wishing you all the best in all your ventures!!! Thanks a lot Chinmayi for your comments about Agni. It was a wonderful experience jamming with you. We would love to perform with you again. See you soon!!! Bon jour.we know that u gonna really rock in the concert.Garnish the concert with ur mesmerising voice.U mentioned that ther are lots of things to learn from others,but there are uncountable number of things to learn from u akka.soon we will see no baby steps,but the baby's running race,we have confident that u gonna place first oneday. ஆவலாக இருந்தது! அதுவும் இப்போது இல்லை! உங்கள் பதிவை படித்தபின் நிகழ்ச்சியை பார்த்ததுபோன்றா உணர்வு என்பது உண்மை! 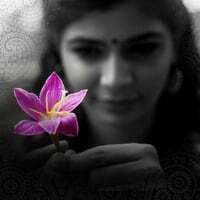 இதுபோதும் என்று நினைக்கிறேன்! நன்றி வணக்கம்! Interesting. Happy to know about the happening and ur concerts. What abt the voice culture program of ur mom? I think Sithiram pesuthadi is Krish's fav. He sang it in Paadum office, Isai Kudumbam and recently in Coffee with Anu. He mimicked Kamal when complementing Haricharan. BTW, When r u coming back? Today I heard u talking to Chandhini from Canada in AKK. Thank God I didn't miss that. This is something i wanted to "see". The personality behind the celebrity. Hence I enjoyed reading this piece. All's well and it will always end well..
looking at the pictures i see an obvious difference in your face. you look fairer , but most importantly more vibrant. what ever you are doing it is working well. arun: thanks.. and my mom is a bigger fan of naaku mookka than me.. I sang that song basically for her..
rathy: haha! I didnt know that.. thanks for the info! rashmi: Maybe.. Yeah I heard that in Paadum office too..
vasanthan: fairer... dont know.. sometimes happens as we grow older or depends on how happy we are I guess. vibrant.. dont know.. but the right make up is super imporant.. its been different ever since I switched to MAC.. so if you are asking for a secret thats the one..